This is a Chinese name; the family name is Yan. Yan Su (Chinese :阎肃; 9 May 1930 – 12 February 2016) was a Chinese playwright and lyricist who served as vice-president of China Theatre Association. He held the civilian rank equivalent to general in the PLA Air Force Political Department Song and Dance Troupe. He was a National Class-A Screenwriter. He was a member of China Writers Association and China Music Copyright Association. He was a visiting professor at Heibei Institute of Communications [ zh ]. The China Theatre Association is a subordinate of the China Federation of Literary and Art Circles (CFLAC). Founded on July 24, 1949, the organisation was initially named the China National Theatre Workers Association. In 1953, it was renamed the China Theatre Association. So far it has more than 11,000 registered members, with branch associations across the nation. China Writers Association or Chinese Writers Association is a subordinate of the China Federation of Literary and Art Circles (CFLAC). 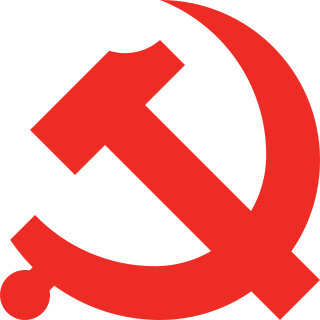 Founded in July 1949, the organisation was initially named the China National Literature Workers Association. In September 1953, it was renamed the China Writers Association. In April 2012, the organisation changed its translated name to China Writers Association. Yan Su was born Yan Zhiyang (阎志扬) in Baoding, Hebei, on May 9, 1930. During the Second Sino-Japanese War, he, then 10 years old, moved to Chongqing with his family. He attended Chongqing Nankai Secondary School and graduated from Chongqing University, majoring in business administration. Baoding is a prefecture-level city in central Hebei province, approximately 150 kilometres (93 mi) southwest of Beijing. At the 2010 census, Baoding City had 11,194,372 inhabitants out of which 2,176,857 lived in the built-up area made of 3 urban districts and Qingyuan and Mancheng counties largely being conurbated, on 1,840 km2 (710 sq mi). Baoding is among 13 Chinese cities with a population of over 10 million, ranking seventh. Hebei is a province of China in the North China region. The modern province was established in 1911 as Zhili Province or Chihli Province. Its one-character abbreviation is "冀" (Jì), named after Ji Province, a Han dynasty province (zhou) that included what is now southern Hebei. The name Hebei literally means "north of the river", referring to its location entirely to the north of the Yellow River. He joined the Communist Youth League during the Chinese Civil War and joined the Communist Party of China in 1953. In 1950, he was transferred to Southwest Military Region Youth Song and Dance Troupe as an actor. He once performed in the front of Korean War. In 1955 he was transferred again to PLA Air Force Political Department Song and Dance Troupe. 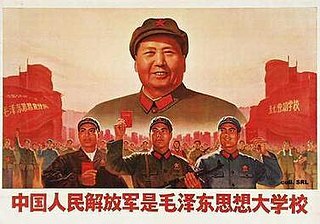 The Communist Youth League of China, also known as the Young Communist League of China or simply the Communist Youth League, is a youth movement of the People's Republic of China for youth between the ages of fourteen and twenty-eight, run by the Communist Party of China (CPC). The league is organized on the party pattern. Its leader is its First Secretary, who is an alternate member of the CPC Central Committee. The current First Secretary is He Junke. The Communist Youth League is responsible also for guiding the activities of the Young Pioneers. The Chinese Civil War was a war fought between the Kuomintang (KMT)-led government of the Republic of China and the Communist Party of China (CPC). 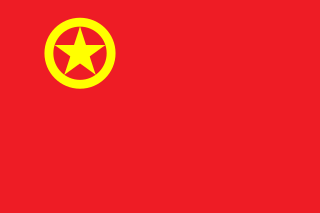 Although particular attention is paid to the four years of Chinese Communist Revolution from 1945 to 1949, the war actually started in August 1927, with the White Terror at the end of Generalissimo Chiang Kai-shek's Northern Expedition, and essentially ended when major hostilities between the two sides ceased in 1950. 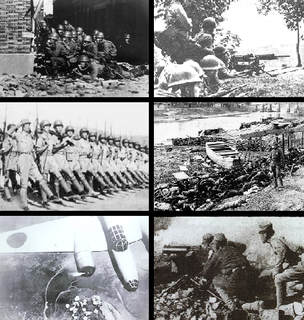 The conflict took place in two stages: the first between 1927 and 1937, and the second from 1946 to 1950, with the Second Sino-Japanese War in 1937–1945 separating them. The war marked a major turning point in modern Chinese history, with the Communists gaining control of mainland China and establishing the People's Republic of China (PRC) in 1949, forcing the Republic of China (ROC) to retreat to Taiwan. It resulted in a lasting political and military standoff between the two sides of the Taiwan Strait, with the ROC in Taiwan and the PRC in mainland China both officially claiming to be the legitimate government of all China. In 1982, Journey to the West was broadcast on CCTV, the series reached number one in the ratings when it aired in China. The opening theme, Dare to Ask Where is the Road, was written by Yan Su. In 1986 he joined the China Writers Association. Journey to the West is a Chinese television series adapted from the classic novel of the same title. The series was first broadcast on CCTV in China on 1 October 1986. The series became an instant classic in China and is still being praised as the best and most authentic interpretation of the novel. Unadapted portions of the original story were later covered in the second season, which was released in 1999. CCTV released the entire series online on YouTube and in addition has an edited version with English subtitles. A cerebral infarction is an area of necrotic tissue in the brain resulting from a blockage or narrowing in the arteries supplying blood and oxygen to the brain. The restricted oxygen due to the restricted blood supply causes an ischemic stroke that can result in an infarction if the blood flow is not restored within a relatively short period of time. The blockage can be due to a thrombus, an embolus or an atheromatous stenosis of one or more arteries. Which arteries are problematic will determine which areas of the brain are affected (infarcted). These varying infarcts will produce different symptoms and outcomes. About one third will prove fatal. The CCTV New Year's Gala, also known as the Spring Festival Gala, and commonly abbreviated in Chinese as Chunwan, is a Chinese New Year special produced by China Central Television (CCTV). Shown on the eve of Chinese New Year on its flagship CCTV-1, cable channel CCTV-3, satellite channel CCTV-4, second flagship CCTV-7 and children's channel CCTV-14 and internationally through the China Global Television Network, the broadcast has a yearly viewership of over 700 million viewers, making it one of the premier television events of China. The Lu Xun Literary Prize 鲁迅文学奖 is a literary prize awarded by China Writers Association. It is one of China's top four literary prizes and is named after Lu Xun and has been awarded every three years since 1995. Joi Chua or Joi Tsai is a Singaporean female pop singer. Her most famous songs are "Waiting For A Sunny Day" (《等一个晴天》), "Watching the Sunrise With Me" (《陪我看日出》), the Chinese version of "Nada Soso" and "Wind Chimes" (《风铃》). She is also well known in Mainland China and Taiwan. Liu Tao is a Chinese actress from Nanchang, Jiangxi. She is known for her roles in Demi-Gods and Semi-Devils (2003), Mazu (2012), To Elderly With Love (2013), Nirvana in Fire (2015), Legend of Mi Yue (2015), Ode to Joy (2016) and The Advisors Alliance (2017). Li Qian, 李倩, was born on March 6, 1984 in Hunan, China. She is currently an actress and has participated in famous series such as The Country's Granary 《天下粮仓》, Treasure Raiders '02 《萧十一郎》, Happy Princess 《无忧公主》, Twin of Brothers 《大唐双龙传》, Sword of Outlaw 《长剑相思》, and Vagabond Vigilante 《游剑江湖》. Gong Qiuxia, also romanized as Kung Chiu-hsia, was born in 1916 under the name and died 2004, China. She was a famous movie star and singer. By the 1940s, she became one of the seven great singing stars. Yan Ni, born Yan Kaiyan, is a Chinese film and television actress. She works for the Television Art center of the People's Liberation Army Air Force. Huo Siyan is a Chinese actress. Li Xiaoran is a Chinese actress. She graduated from Beijing Dance Academy at the age of 17, and was the only dancer who recruited into the Oriental Song and Dance Troupe from Beijing. Jia Nailiang is a Chinese actor. Jia graduated from Beijing Film Academy. 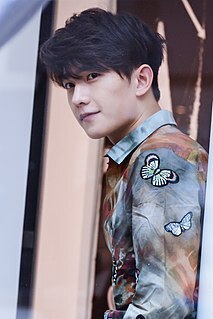 Yang Yang is a Chinese actor. He made his acting debut in the Chinese television drama The Dream of Red Mansions (2010). Since then, he has received recognition for his roles in television dramas The Lost Tomb (2015), The Whirlwind Girl (2015), Love O2O (2016) and film The Left Ear (2015). He was ranked fifth on the 2017 Forbes China Celebrity 100 list. Yan Bingyan is a Chinese film and television actress. She is the descendent of Yan Hui. The Bing Xin Children's Literary Award is named after the Chinese writer Bing Xin, whose work has made her a key figure in 20th-century Chinese literature. It is an annual award intended to "honor the creativity of Chinese Children's literature and in addition to discovering and fostering new authors, supporting and encouraging outstanding children's literature and publishing..." The first series of awards were announced in 2005. The National Outstanding Children’s Literature Award is a major literary award in China, established in 1986. It is run by the China Writers Association (中国作家协会), and is awarded every three years in the categories of novels, picture books, poetry, essays and non-fiction. Jin Dong is a Chinese actor. He is known for his television roles in Legend of Entrepreneurship (2012), The Disguiser (2015), Candle in the Tomb (2016), Surgeons (2017) and The First Half of My Life (2017). Zhang Luyi, also known as Edward Zhang, is a Chinese actor and director. RYB Education is a publicly listed company for preschool education in the People's Republic of China. As measured by annual total revenues in 2016, the company is the largest provider of early childhood education service in China. It owns three preschool-educational brands, namely RYB Parent-Child Garden, RYB Kindergarten, and Zhudou Parenting App-kit Club, and has strategic cooperation with some American preschool education institutes. The firm is listed on the New York Stock Exchange. The company was registered in the Cayman Islands, and its headquarter is in Beijing. ↑ 于文华误传阎肃病逝 阎肃夫人辟谣：缺德. Tencent (in Chinese). 2015-10-27. ↑ "Yan Su's death Xinhua News Agency has issued a document: he has a burning soul". iduobo.com. 2016-02-12. 1 2 老伴眼中的阎肃：他的简朴和勤奋一样不可思议. Liaoning.com.cn (in Chinese). 2015-10-29. ↑ "Chinese prestigious dramatist passes away". Xinhua. 2016-02-12. ↑ "Yan Su elected "moved China" Person of the Year 2015". like-news.us. 2016-02-14. ↑ 阎肃老先生去世？家人辟谣 发布者道歉. cnr.cn (in Chinese). 2015-10-29. ↑ 阎肃儿子独家回应病情：昏迷20多天 有可能醒来. Ifeng (in Chinese). 2015-10-28. ↑ "Dramatist and military songwriter Yan Su dies". Chinadaily. 2016-02-13. ↑ 著名艺术家阎肃今日凌晨去世 享年86岁. Reference News. 2016-02-12. Archived from the original on 2017-01-22. Retrieved 2016-02-12. ↑ 空政歌舞团文职特级编剧阎肃简历. Sohu (in Chinese). 2015-10-27. Retrieved 2016-02-12.